Monthly wall calendar offers basic planning with a perfect size for small spaces. Easel feature makes it ideal for upright desktop viewing. 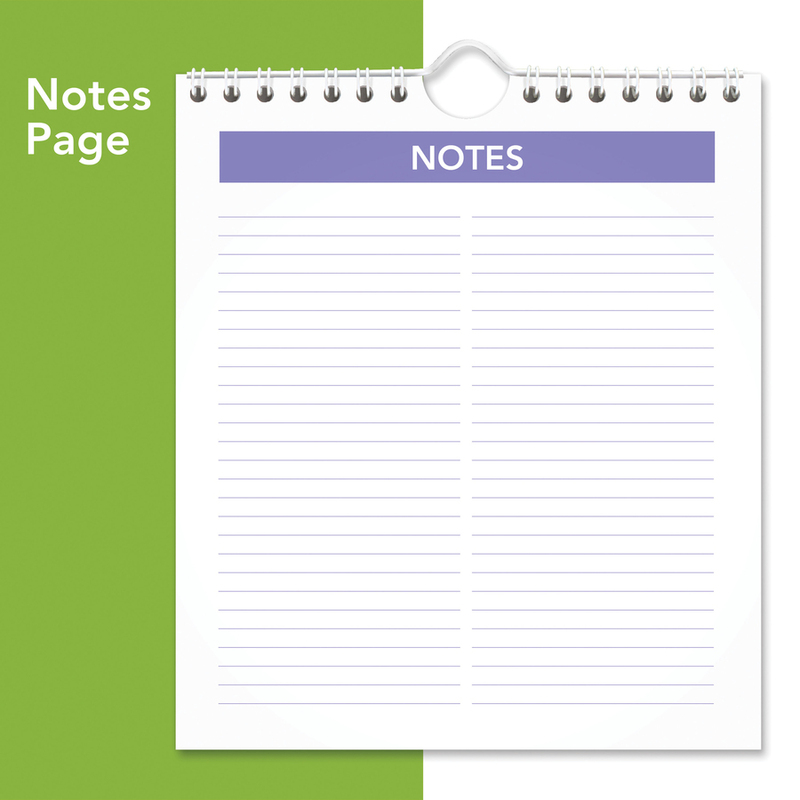 One-page-per-month format includes unruled daily blocks, Sunday-through-Saturday scheduling, and past and future months reference. Dated planning pages range 12 months from January to December. 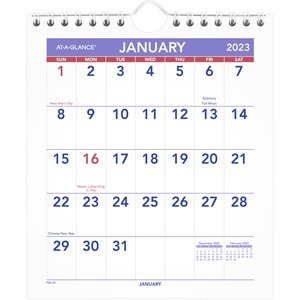 Wirebound mini wall calendar is printed in blue and red ink on quality recycled paper.